Now you have available in Alchimia Grow Shop one of the most smelly and potent strains from the Next Generation cannabis seedbank, the Island Sweet Skunk. It is a mostly sativa variety coming from the famous Skunk#1 marijuana , suitable for either indoor or outdoor crops. Easy to grow, it develops a long main stem surrounded by shorter side branches. This makes it suitable for the SOG technique , since due its strong stretch it doesn't need much growth. Its bloon takes around 9-11 weeks, yielding high amounts of spongy and resinous buds, with lots of pistils. The scent is skunky but with particular tropical and sweet notes, reminiscent of lemons or peaches. The effect is strong and intense, cerebral and energetic. Medicinally , it is suitable to treat stress and depression, also reducing fatigue and pain. 3-time winner at the BC Harvest Cup. 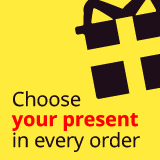 You can place your order via web (you'll be able to choose a free gift with this option) or by sending us a mail to info@alchimiaweb.com. You can check the shipping costs here (select your courier to see the costs). Thanks for your confidence! Do you want to give your opinion on Island Sweet Skunk - Regular Seeds or ask a question about this product?